Upto 50%+Extra 5% Off Upto 38% off discount sale..
Min 60%+Extra 10% Off Upto 80% off discount sale.. Extra 5% Off Upto 37% off discount sale..
Min 60%+Extra 10% Off Upto 79% off discount sale.. Extra 5% Off Upto 42% off discount sale..
Upto 80% Off Upto 74% off discount sale.. 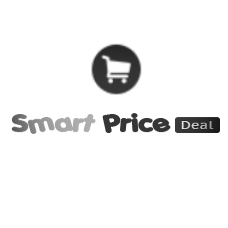 Extra 5% Off Upto 39% off discount sale..
Min 60%+Extra 10% Off Upto 81% off discount sale.. Extra 5% Off Upto 38% off discount sale..
Upto 60%+Extra10% Off Upto 82% off discount sale..
(Size 6 - 7Y) Rupa Frontline KidsBrief For Boys(Multicolor Pack of 5)..
(Size 6-7, 8-9, 10-11 Y) Rupa Frontline KidsVest For Boys Cotton(Multicolor, Pack of ..
(Size 10-11Y, 12-13Y) Rupa Frontline KidsVest For Boys Cotton(Multicolor, Pack of 2)..
(Size 8-9Y) Rupa Frontline KidsBrief For Boys(Multicolor Pack of 5)..
(Size12-13Y) Rupa Frontline KidsBrief For Boys(Multicolor Pack of 5)..
Disney my first beach racket set Badminton..